Experiment in self-governance will work? 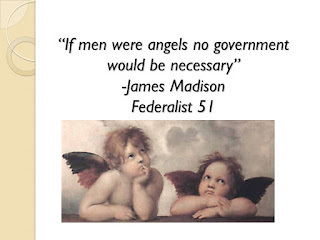 "If men were angels, no government would be necessary. If angels were to govern men, neither external nor internal controls on government would be necessary either. How do we separate powers among 3 branches of our government? Each branch must have some ability to keep others in their proper place. It is a sad but honest reflection on human nature that such counterbalances are necessary to control abuses of government power. The will of the people must be the primary control on government. However, human history shows the importance of using opposite and rival interests to frustrate the ill motives of some leaders. To insure liberty, each branch should have a clear purpose of its own and as little influence on the selection of members of other branches as possible. Members of each branch should not be totally dependent on another branch for remuneration. If the executive or judiciary were not independent of Congress, their independence in every other function would be diminished. Subordinate distributions of power of government should serve as a check on other departments to protect individual rights. 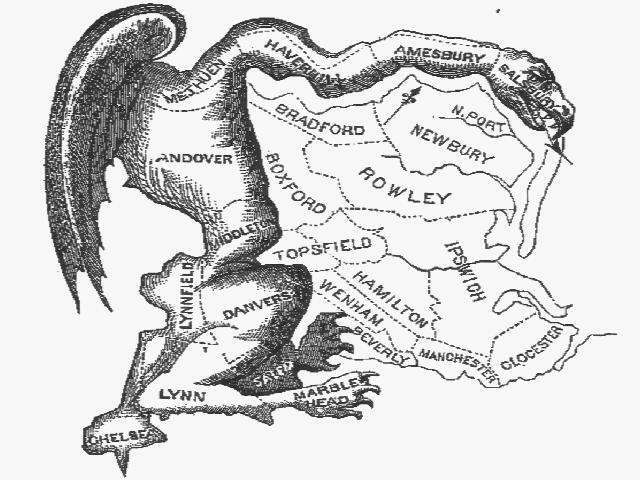 The remedy is to divide the legislature into different branches and force competition among the branches to best govern. In republican government, the legislative authority necessarily predominates. Strong legislative authority requires that it should be divided. The weak constitutional powers of the executive requires that it should be strengthened with veto power over the legislature. The Senate should have the power to override a President since he may be lacking in courage or spirit or may be a tyrant. The people should almost always select government officials. In the judiciary, however, we need highly-trained lawyers who should be selected in a way that guarantees we get the best judges possible. There are two ways to form the United States: a single republic or a compound republic. In a single republic, all power surrendered by the people is submitted to the administration of a single government as in monarchies. In our compound republic, the power surrendered by the people is first divided between state and federal governments, and then subdivided among distinct and separate departments. A double security arises to the rights of the people: the different state and federal governments will control each other, and at the same time, each will be controlled by itself. A republic must guard the people against oppression by its elected leaders. It also must guard the minority interests against injustice from the majority. If a majority is united by a common interest, the rights of the minority will be insecure. Minority rights can be protected by: 1) creating a separate force outside of government to support the minority; or 2) having so many separate groups of citizens that an unjust majority will never happen. The first method prevails in monarchies. A power independent of the government might support the rightful interests of the minor party but one day turn to support the oppressive majority party. The United States will exemplify the federal combined republic. Civil rights must be the same as that for religious rights. The more interests and sects, the more security will abound for everyone. If stronger factions can unite and oppress minority factions, anarchy will reign as in a state of nature. Any government too weak to protect the rights of a minority today will be too weak to protect the rights of the majority tomorrow. A small state on its own might one day be destroyed by its own internal factions. Without the protection offered the people of that state by their federal rights, they would be defenseless. As the United States grows over time, a coalition of a majority of the whole society could seldom take place on any other principles than those of justice and the general good, versus narrow sectarian or religious differences. The larger the society, the more duly capable it will be of republican self-government. great people to not run for public office. 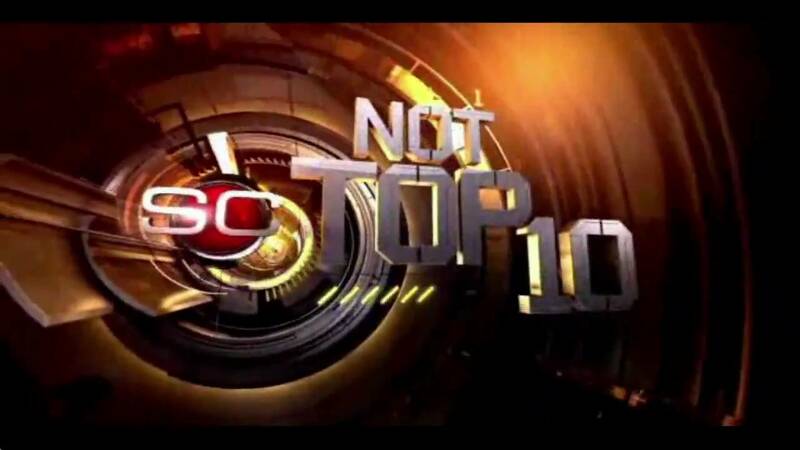 ESPN ran their ‘Not Top 10’ sports moments for 2017 which showed the bloopers and mistakes made over the past year in the sports world. 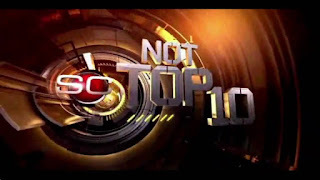 Have you ever heard the 'Not Top 10' reasons why people will not run for public office? 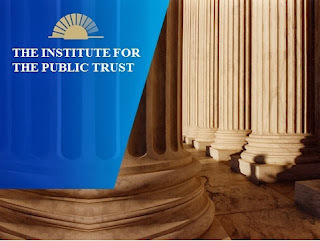 I run The Institute for The Public Trust which tries to find, recruit and train great people to run for public office across North Carolina. We all acknowledge our need for the very best people in our communities and state to run our representative democratic government. It has been that way ever since the founding of our Republic in 1789 with Messrs. Jefferson, Madison, Hamilton, Adams, Washington and Franklin to name a few. Why should they? A candidate or incumbent has to raise money all the time; they have to suffer the slings and arrows of outrageous fortune and vicious attacks, sometimes true but many times not; and they basically have to take a vow of poverty to serve the public unless they are independently wealthy. Want to run for the North Carolina General Assembly? The pay is $13,951 per year, roughly $3 per hour. Of course you are. You are busy at being great at what you are currently doing in your business, avocation, family and charity work. That is why we want you to take your immense talents and put them to work for the common good as our elective representative. Just like Mr. Jefferson, Mr. Madison, Mr. Hamilton et.al. before you. Of course you don't. No one does. Does that exempt you from trying to run for public office where you could elevate the public debate and discourse because you actually know what you are talking about and once elected, you can actually do something about the immense problems facing us? If you are highly intelligent, talented, educated and experienced and don't understand the big issues facing our state and country, you probably should stay on the sidelines and let someone less qualified take your rightful place in our elective representative government structure. Join the club. Hopefully, if you are as qualified as others think you are, you are not a felon; a miscreant; a liar; a chiseler; a deal-welsher; or a two-faced baboon as opponents called Abraham Lincoln, of all people. You should have no problem with the media if you are none of the above. Have you been paying any attention at all to what has been going on in our collective elective government over the past 30 years or so? 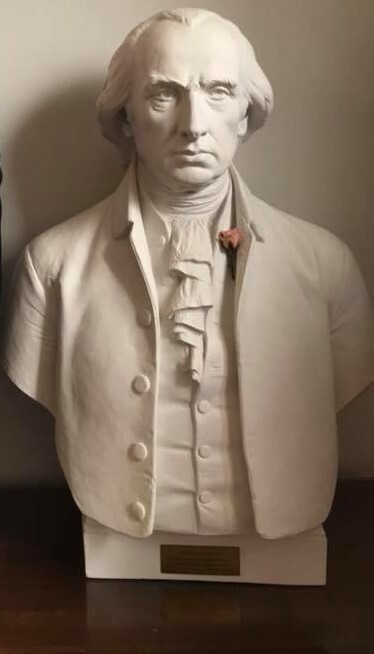 Name the top 10 people who have served in public office that you think were cut out of the same bolt of cloth as Mr. Jefferson, Mr. Madison or Mr. Hamilton long ago. There are not many most people can name off the top of their head. We admire and salute everyone who has run for office and those who have been elected and served. It is a very tough job, hands-down one of the toughest 'dirty' jobs anyone can ever undertake. However, we need our best to serve. Mr. Jefferson considered public service to be the highest calling any person could be called to perform. Help everyone by finding a good reason ‘to run for office’. Not away from it. 45% of all taxpaying household units in America pay no federal income tax in the progressive tax structure. 100% of all taxpaying household units that reported earned income paid federal payroll taxes in what is essentially a 'flat tax' on everyone. 70% of all taxpayers choose to use the standard deduction instead of itemizing deductions. Roughly 2.2 million people who use the standard deduction 'overpay' their tax liability by not itemizing which leads to an overpayment of approximately $1 billion in federal taxes. The average annual 'tax gap' or the difference between collected taxes and potential tax revenues is about $450 billion/year due to under-reporting of income or flat-out fraud. 0.86% of all 136 million tax returns were audited by the IRS in 2016. 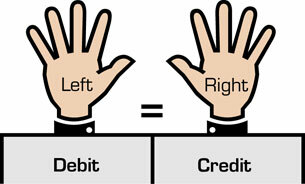 The income tax was made constitutional by ratification of the 16th Amendment in 1913. Mandatory withholding of federal income and payroll taxes started in 1943 during World War II. There is more tax revenue sheltered by deductions, exemptions and credits, roughly $2.2 trillion and not paid to the US Treasury, than the amount of income taxes collected each year, $1.8 trillion from individuals and $355 billion from corporations. Corporate income taxes amount to 10% of all tax collection all of which is paid for by customers in the form of higher prices. Other than winning bar games or perhaps beating Ken Jennings on 'Jeopardy' with 'Odd Tax Facts', what does all of this tax trivia mean today? There is a vast amount of disinformation out in the public about our tax system. We have a progressive tax system that really doesn't 'gouge' the rich since the uber-wealthy can afford so many tax shelter unavailable to most taxpayers. We have a second 'flat tax' system that is completely regressive since it takes 15% (half from the employee/half from the employer; 100% from self-employed) from dollar $1 earned by each and every salary wage-earner in the country, from the poorest laborer to an NBA star, up to $127,500 for Social Security and unlimited in Medicare. 2.2 million people don't know they are paying too much in taxes by choosing the standard deduction instead of itemizing deductions such as mortgage interest, charitable contributions and state and local taxes. Millions of taxpayers who do use the standard deduction are getting a good deal if they A) rent and don't have a mortgage on which to pay interest; B) don't contribute a lot of money to charity or C) live in a state without an income tax. With the standard deduction going up to $24,000 for married couples and $12,000 for individuals, millions of taxpayers will get the benefit of tax deductions even if they don't do anything specifically to earn them. 99.2% of all taxpayers each year will not be audited by the IRS. The IRS does not have the time, resources or manpower to go after all but the largest discrepancies in the higher income categories. If every person had to pay 1 huge check on April 15 each year, we would have the largest tax revolution since 1776. We are leaving at least $400 billion per year on the table in uncollected tax revenues. When you factor in the black market and illegal trade in America, it might be triple that number. This tax reform package needs to be passed this year. But it should not be the last tax reform package we ever see. What is the current amount of additional national debt projected by CBO to be incurred based on past decisions, or indecisions, by Congress and Presidents George W. Bush 41 and Barack Obama before the election of Donald Trump in 2016? federal debt of $20 trillion whether Donald Trump, Hillary Clinton or The Tooth Fairy was elected President in 2016. The inaction of Congress and the last 2 Presidents to reduce spending or cut deals to avoid such enormous debt accumulation has been a far greater problem than what the addition of another $1.5 trillion in debt would be over the next 10 years. That will be a truly scary moment for every US citizen living at the time. Remember the health care reform bill that Senator John McCain deep-sixed with his nay vote a few months ago? If you are a long-time budget deficit hawk or a Johnny-come-lately budget deficit ruffed grouse, you should welcome the chance to pair the tax reform bill with reform of ACA to make sure we don’t add more debt than the $11 trillion we are already on schedule to add on top of $20 trillion our children and grandchildren now owe. Which is also mostly true at the time. “Do you know what the ‘true’ Miracle was in Philadelphia in that hot summer of 1787?” he was asked. The real miracle was that they did not establish a kingdom or an oligarchy forever. Which they very easily could have done and some, including Alexander Hamilton, wanted to see done. The Founders turned to the writings of John Locke and other classical liberal thinkers not only to set the predicate for the Constitution with the immortal words “all men are created equal” in Jefferson’s Declaration of Independence in 1776, but also to pour the concrete foundation of our country with principles to establish the first free democratic republic which has been copied the world over to set people free for the last 228 years. Our Founders had every power at their disposal to set up a parliamentary government to serve a king. But they didn’t. George Washington voluntarily retired to his farm and distillery at Mount Vernon and set the paradigm for citizen-politicians ever since. Our Founders had every power at their disposal to set up an oligarchical form of government similar to the ancient Greeks in Athens. The “rich white privileged men” in Philadelphia didn’t have to mention equality for everyone or free speech, religion, press, assembly or the right to petition the government for anyone else but members of the oligarchy, but they did. Instead of 100 percent serving their own narrow interests, they fought tooth-and-nail over provisions in the Constitution to enable a free flow of commerce and trade, a strong centralized national defense and individual freedoms and liberties unlike the world had ever seen before. Their aversion to total concentration of power in the hands of King George III led them to go to the other end of the spectrum to set up a system of government that does its darndest to frustrate and prevent capricious actions on the part of a president or even small groups of one faction or the other in the U.S. Senate versus the U.S. House. Granted, many rights were restricted to landed gentry early in our history. But the other part of the “Miracle” in Philadelphia is that they set up a means to amend and change the very Constitution they ratified so that over time, the new republic could grow and adapt to where we are today. I had the opportunity to speak to the government of Estonia in 1995 after they declared freedom from Soviet Union dictatorship in 1990. We were told to bring a suitable gift to give to the leader of the parliament as a gesture of friendship. I bought a copy of James Madison’s “Notes on The Constitution,” which had been kept private in his and wife Dolley’s hands for 51 years after ratification of the Constitution and only published after the fourth president passed away. Upon opening the gift, the leader of the Estonian parliament literally broke down in tears. The United States may not be perfect today in your opinion. The U.S. Constitution was not perfect in its original form either. But we all owe it to each other to keep working on the American Experiment until everyone can be proud to say they are American. They gave us a gift. 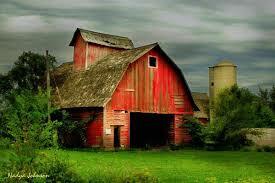 It is worth preserving. Why Not Add a 70% Marginal Tax Rate For The Uber-Wealthy? Supporters of the progressive income tax think it is the greatest thing since sliced bread because it makes taxes more ‘fair’. Wrong. It just makes everyone who supports class warfare feel better because they think they are 'sticking it to the rich' when, in reality, it doesn't on very high net worth individuals. The proposed new tax brackets would collapse the existing 7 tax rates down to three: 12, 25 and 35 percent. 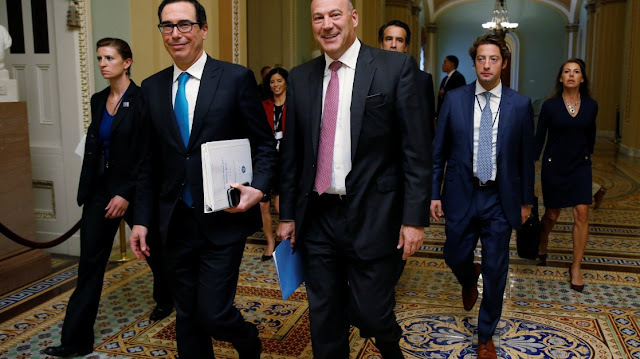 There is speculation that the tax package now under consideration by Congress will not reduce the highest tax rate for multi-millionaires from 39.6% and might, in fact, raise it on them. It won't matter. For reasons discussed below. The top marginal income tax rate is 39.6% today and is effective on taxable income of $418,400+ for single filers and $470,700+for married couples filing jointly. The premise behind keeping a 4th bracket at 39.6% and/or adding a much higher tax rate for the super-wealthy is that 'rich people should pay more in taxes!' without really specifying how much more would be satisfactory. Uber-wealthy people have access to unbelievably smart and clever tax accountants, estate planners and tax lawyers. If you don't believe it, ask one of them. As long as we have a tax code rife with hundreds of specific personal and corporate tax deductions, exemptions and credits, very wealthy people will be able to hire enough tax accountants and lawyers to drive their 'effective' tax rate down to whatever level they choose to pay. If there is a very wealthy person actually paying 39.6% on any income, they need better tax accountants and lawyers. Most very wealthy people do not take any salary once they reach a certain point in wealth accumulation. Therefore, many do not pay ANY income tax at all. Period. No federal or state income taxes are paid since they don't take any income in salary. No payroll taxes are paid into Social Security or Medicare Part A withheld each pay period because they don't get paid like the majority of other taxpayers who earn a paycheck every week. They collect income in the form of capital gains or qualified dividends which are taxed at the 20% rate, not 39.6%. Many capital gains are offset by tax losses on other investments or in like-kind exchanges in which case, no tax revenues are generated from asset sales by many rich people in a given year. They invest in tax-free municipal bonds for example. Hard to collect taxes from tax-free incomes. The number of legal tax schemes available to the super-wealthy in America today to offset non-salaried income are legion. Why any colossally-wealthy people pay any tax every year except for perhaps public relations purposes is mind-boggling. Since CBO doesn’t use dynamic scoring, perhaps Congress should add on a super-duper marginal tax rate of 70% on everyone in the highest earned income salary levels since static scoring would presume little-to-no change in behavior, although we all know it does. Based on other similar projections, CBO might up with a score of at least $1.5 trillion of increased revenues over the next 10 years at least on paper. Technically, that would make this bill ‘budget-neutral’, even though hardly any of these projections would come true. The people who would be thrilled with this new tax bracket, besides advocates of the progressive income tax, would be the very same tax accountants and lawyers who have already figured out how to minimize tax exposure for super-wealthy people at 39.6% today. They can do it at 70% or above, too. 'NC General Assembly Republicans Have Done It Again'! ‘What did the 'Mean Old Republicans' (MOR) in the General Assembly do now?’ you might ask if you are on the other side of things that haven't been going your way for the last 8 years in North Carolina. They overrode a veto by Governor Roy Cooper of SB 656: The Electoral Freedom Act of 2017. The press and opponents are claiming SB 656 'ends democracy as we know it!' because it eliminates primary elections in North Carolina for judges and district attorneys starting in 2018. Quick: Name the last 10 candidates in your party for district or superior court judge in the district in which you live in North Carolina. Did having a primary for judge really matter to you? What else is in SB 656? Does it really 'end democracy as we know it?' as critics claim? North Carolina General Assembly Republicans have opened up the barn door to participatory democracy in congressional races in North Carolina. That is what they have done. It means that highly-qualified people who don't like the Republican or Democrat Party anymore and have taken the momentous step to re-register as UNA can get on the fall general election ballot for Congress 1) without blowing a ton of money in a bruising primary; 2) they can start their campaign on the last Friday in June preceding the general election instead of the year before and 3) they can win election to Congress in the fall with perhaps 37% of the vote in a three-way race instead of 50%+1 in a two-way race. There are roughly 520,000 registered voters in each congressional district in North Carolina. A 1.5% signature threshold means a well-organized-and-funded UNA candidate would only need to get 7800 signatures to get on the fall ballot instead of 20,800 under previous law. In the election world, getting 7800 signatures is peanuts. A candidate can get that many at a NASCAR race in one afternoon. No money would be wasted in a primary they probably wouldn't win anyway since UNAs tend to be more moderate on issues than are motivated, often single-issue primary voters. Lowering the general election victory threshold to 37% from 50%+1 is a major incentive since UNAs represent 30.4% of all registered voters in NC today. A UNA would only need to pick up a few Democrat and Republican votes from each side to get to 37% in the fall election to win if Rs and Ds split the rest of the vote somewhat evenly. 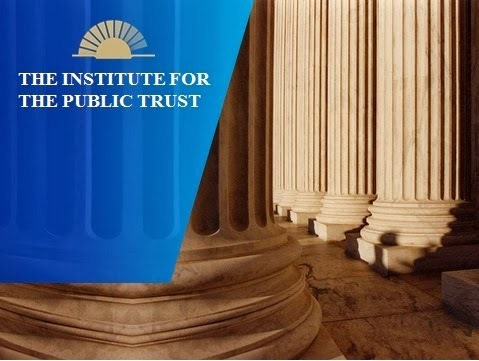 UNAs typically represent what used to be known as the ‘center’ of politics on the bell curve: more socially libertarian but fiscally conservative and responsible. The ‘exception’? General Assembly races remain at the 4% of registered voters threshold for signature collection instead of dropping to 1.5%. They ain’t dumb, that is for sure. Everyone has their own individual philosophy about how the world 'ought to be'. These ideas and concepts come from some source from history unless the person has a personal epiphany and makes them up out of thin air somehow. Many people want to expunge any personal philosophy from the public arena as we engage in discourse about our self-governance. That is humanly, psychologically, mentally and physically impossible to achieve. We are not automatons that can be programmed to consume raw data in bits and bytes and spit them back out without some processing through our human emotions, thought patterns and worldview. Many on the left have adopted the collectivist populist philosophy of class warfare to 'raise taxes on the rich!' This line of thinking can be traced back to the 'Social Contract' of Rousseau in the 18th century and Hegel early in the 19th and, sadly, reached its full-blown expression in the writings of Karl Marx in 1859. When it comes to using politics as a means to implement a particular philosophy into the American consciousness and public policy, the left has already ‘won’ in many respects. We have a progressive tax code; a massive entitlement system covering health, welfare and retirement programs for a majority of Americans today and a federal government that spends over 20% of our entire GDP each year. Contrast the progressive tax code of today with the original intent of our Founders when it came to taxes. "[A]ll duties, imposts and excises shall be uniform throughout the United States” they wrote and ratified in Article 1, section 8 of the US Constitution. Our Founders had no intention of singling out any class of taxpayer for special or unusual taxation policies no matter their wealth or income status. Our convoluted income tax system would set their powdered wigs on fire as they tried to fill out even a basic income tax form 1040 on their own. We are supposed to be a nation of liberty, fairness and equal opportunity. All concepts instituted in our Constitution by our Founders after reading philosophers such as John Locke and Adam Smith. Our tax code should not be used as target practice against any particular set of taxpayers nor should it favor any particular set of taxpayers either. Today, somewhat amazingly, it does both. Consider the fact that the left says ‘the rich should pay their fair share!’ in taxes. 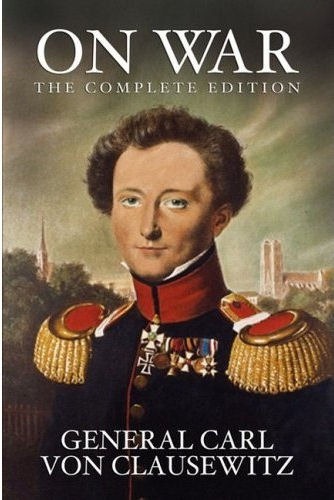 According to whose standards, theirs or some philosopher from the 1800s? Who gets to decide exactly what their ‘fair share” should be anyway? The top 0.1% of all taxpayers, or about 140,000 people out of 140 million taxpayers, already pay 16% of all income taxes paid today. The top 1% pay 35% of all income tax. The top 10% of all taxpayers in the United States today pay 2/3rds of all income tax paid to the federal government. Perhaps the left is referring to Luke 12:48 which says: "For unto whomsoever much is given, of him shall be much required." Except that would be bringing religion into government debate, not just philosophy. There is a real philosophical ‘war’ going on in the halls of Congress right now over this very question as our Congressmen and Senators struggle not only with tax reform but with determining the very size and scope of our federal government after years of aggressive expansiveness under President Obama. Politics is hand-to-hand combat. Let’s hope it stays in the realm of philosophy. Call your Senator and Congressman and demand they close most tax loopholes in the US tax code if you are upset about the level of money in political campaigns today. Taking money out of politics is not the main reason to do tax reform. But it would be a nice benefit, wouldn’t it? Why would true tax reform take money out of political campaigns? Huge sums of campaign money come from people and lobbying organizations who want to protect their specific tax exemption, deduction or loophole in the current, stale and sclerotic federal tax code. If Congress would lower overall tax rates and eliminate as many tax loopholes as humanly possible, the amount of PAC and special interest money flowing to candidates should fall precipitously as well. In an ideal world where personal and corporate income taxes are replaced by, for example, a single simple consumption tax on billions of transactions made each day in America, there would be next to zero reason to send campaign money to support a candidate other than to keep the consumption tax as low as possible and support a particular political philosophy on one side or the other. Much of today’s campaign contributions go to protect someone’s ox that might be otherwise be gored one day. 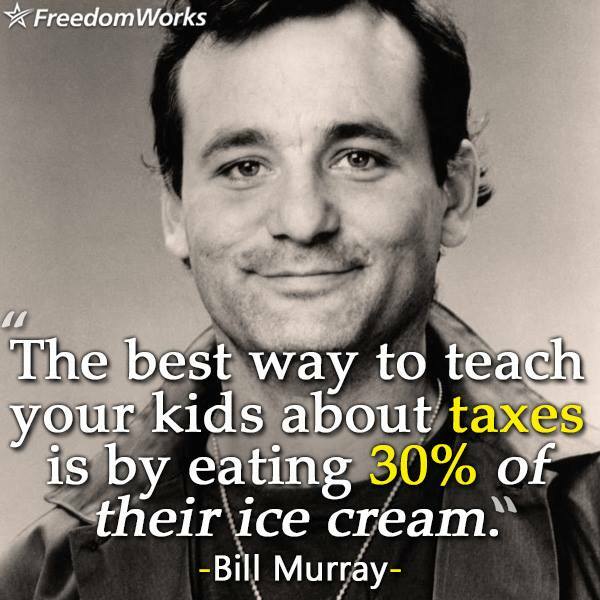 Chances are your calculus would lead you into the consumption tax camp immediately overnight. You would be taxed on what you purchase, consume or transact every day; if you are frugal, your taxes will be minimal. If you are like many professional athletes and buy $10 million mansions, you would pay much more in taxes than the average person. Spendthrifts would become the new ‘top 1%’ when it comes to paying taxes. There are literally thousands of examples of unfair anomalies in the current tax code due to preferential tax treatment. In 1942, NFL owners got Congress to add the NFL and other professional sports organizations to the list of non-profit entities such as the American Medical Association, Boy Scouts of America and hospitals, colleges and universities in the country that do important charitable work in local communities. How the NFL ever was compared to the Little Sisters of the Poor in terms of contributions to society is beyond explanation. What if the tax reform bill now under consideration in Congress set into motion cosmic forces that one day soon led to the abolition of the income tax code in its entirety and replaced it with a simple per-transaction consumption tax? No 'income tax' would mean 'no reason to shelter your income no matter what size it is’ from federal taxation. There would be no reason for any tax deductions, exemptions or breaks that are usually available only to the highest income earners in America anyway. And, therefore, no reason for much of the money that goes into campaign spending each year. A 10% per transaction consumption tax would most likely bring in the same amount of revenue as the current income tax without all of the Rubik's Cube machinations and tax avoidance schemes we have concocted since 1913. Possibly more since the current tax code shelters enough income to prevent close to $2 trillion of taxes annually from being paid to the federal treasury. Every time a purchase is made from buying paperclips to a new stadium, each person, entity, company or organization would pay a 10% tax to the federal government at the time of purchase at the checkout counter or closing. Tax reform in 2017 should be the beginning of tax reform going forward. Not the end. Mr. President: If this is already your plan, congratulations. When Donald Trump, the candidate, kept saying: “BUH-Leeve me! Mexico will pay for the wall,” the media and Democrats scoffed and said there was no way to get Mexico to pay for border wall. What could President Trump possibly have had in mind? We could suspend all military and foreign aid to Mexico totaling over $320 million per year to pay for the wall. Losing $320 million a year in foreign and military assistance from America would amount to a .03 percent reduction in total national spending in Mexico. That is not a killer in overall economic terms for Mexico. Their GDP is $1.046 trillion in US dollars, two-thirds the size of Canada’s GDP. Mexico is the 13th largest economy in the world today. Foreign aid used to go solely to devastated nations who needed it. It would take 62.5 years, however, to pay for the border wall by diverting appropriations from Congress this way. What if President Trump had in mind a much higher rate of interdiction of laundered “dirty” drug money that freely flows from purchases made in the U.S. back to sources in Mexico? Call it “Reverse Money Laundering”: intercept “clean” drug money on its way back to Mexico and convert it into American general revenue to build the wall. It would be like creating a special tax on U.S. drug users and Mexican drug lords to pay for border security. DEA officially collected $138 million in seized money in 2009. However, estimates of laundered money from illegal drug trade between the US and Mexico ranged as high as $38 billion or 275 times the amount of officially seized money. We are leaving $37.8 billion in ill-gotten profits on the table that could be used to pay for the wall or repave a few highways if we could get our hands on it. Mexico could pay for its own wall to keep their citizens in Mexico if they wanted. Roughly 10 percent of their population has been exported to America over the past 25 years. But they won’t. One reason why the Mexican government doesn’t want an effective impermeable wall might be they know how important $38 billion in cash is to the Mexican economy and banking system. Cutting off that flow of cash could sink hundreds of small Mexican banks and cause a real dent in their annual GDP. Money laundering is a huge network of small businesses in the southwest. Local authorities have little interest in enforcing federal statutes, and the FBI doesn’t have the resources to sift through millions of local bank transactions from mostly cash businesses such as convenience stores, restaurants, funeral homes, lawn services, and car retailers. It’s a real war out there as well with lots of bloodshed and violence in support of drug trafficking. We have to treat it as war to defeat it. A tidal wave of dirty money spread over a large landscape is barely noticeable. The point of vulnerability is when dirty money re-enters the banking system so drug lords can buy mansions, yachts, luxury cars, and more weapons with it. By building a 21st century “virtual wall” with every conceivable technological instrument that can be used to detect cash flows at the border, intelligence gathering with a banking firewall can be used to significantly ratchet up the capture of significant percentage amounts of this laundered money. That is how Mexico can be made to pay for the wall. Mexican drug lords losing billions in dirty profits from American drug users. The Mexican economy and banking system losing access to billions in laundered money every year. Most deals are lost in Congress by politicians who didn’t recognize when they had ‘won’. They let 'the perfect be the enemy of the good'. President Trump set up a classic political deal to be made between proponents of DACA (Deferred Action for Childhood Arrivals) and proponents of 'Building The Wall' when he had dinner with Senate Democrat Leader Chuck Schumer and House Democrat Leader Nancy Pelosi. Neither side is going to get all they want all by themselves. But both sides stand to gain 80%+ of what they want if they cooperate on a bipartisan bill that deals with both issues at the same time. If they recognize they ‘won’, that is. On one side, you have proponents of DACA who feel strongly that 1.9 million people who came to America at the average age of 6 with their parents who came here illegally should be allowed to stay in America and not be deported. On the other, you have proponents of much stronger border security who feel strongly that we must have an impenetrable border with Mexico as a precondition for any discussion about immigration reform. Today, we don’t have a solution to either. There's a deal to be made somewhere between the two sides if both sides realize they will not get 100% of what they want. There are a few misconceptions about 'The Wall' that no doubt arose from the truncated nature of political campaigning. 'Build The Wall' is a 3-word metaphor for 'Maximize American Border Security' which doesn't resonate in a speech with 30,000 supporters in attendance. What will 'The Wall' mean in 21st century America? 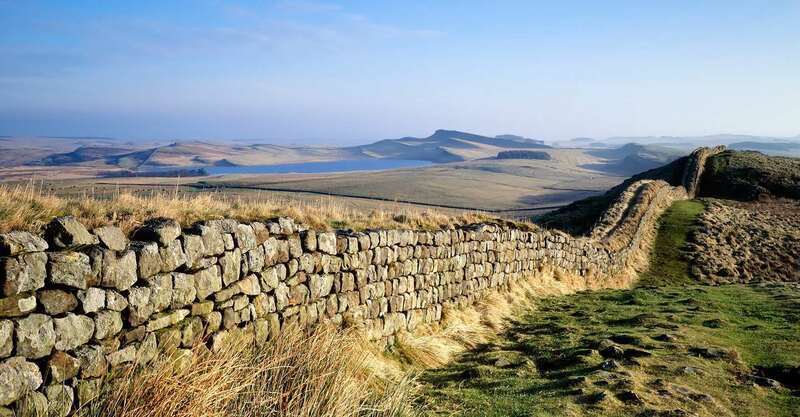 'The Wall' will not be a continuous 1989-mile brick-and-mortar, concrete-and-cinder block physical barrier between the US and Mexico like the Great Wall of China, the Berlin Wall or even Hadrian's Wall between England and Scotland that the Romans built in 122 A.D. to keep the hot-tempered Scots out of England for hundreds of years. The American 'Wall' will be a system of integrated technologies that closely resembles existing military capabilities such as unmanned aerial vehicles or drones (UAVs), cluster satellites, radar and infrared imaging now deployed in Iraq, Afghanistan, Pakistan, and elsewhere. These security technologies provide the real-time information needed to direct ground intercept units to interdict hostile enemy forces on the battlefield. In homeland security terms, these technologies will be used to interdict people trying to illegally enter the United States without a visa or passport and return them to their home of origin. As in military theaters, the essential feature of these technologies is their 'stealth' characteristic which is something that physical barrier walls cannot offer. People trying to enter the United States illegally cannot easily observe the location or configuration of these stealth security technologies and will find them quite difficult to defeat. 'The Wall' will include more than the physical security technologies needed for immediate homeland security operations. 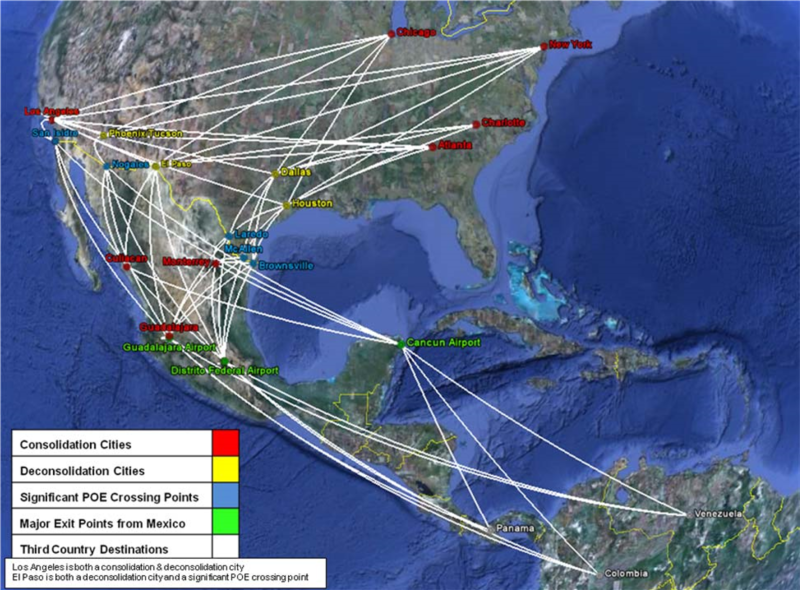 'The Stealth Wall' would have the capability to coordinate with real-time banking information; rail, port, truck and warehouse logistics and dispatching; and government intelligence agencies. Working with the Mexican government would allow access to banking, immigration/travel and logistics security information across the border. Technological mechanisms could be added to stop the southward flow of laundered money and high-tech weaponry along with a promise of enhanced security for maquiladoras (foreign-owned manufacturing plants in Mexico) in support of Mexican economic development. Building ‘The Wall’ will be expensive. Estimates range as high as $20 billion. We are going to spend $150 billion to clean up after Hurricanes Harvey and Irma for comparison’s sake. Finding a common solution for the DACA population is the price proponents of ‘The Wall’ will have to pay to ‘declare victory’ on their side and vice versa. Otherwise nothing will get done on any immigration issue. No DACA. No Wall. 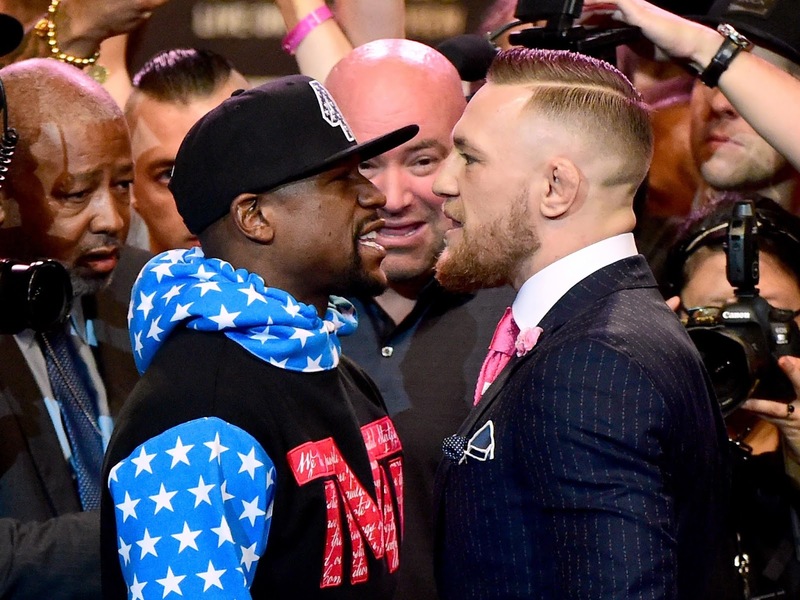 Did you pay $100 to watch the Mayweather-McGregor fight? 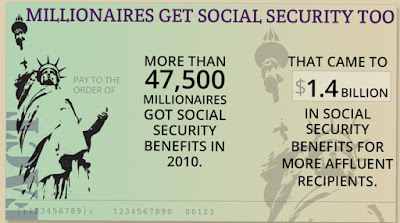 Such a small amount could be the key to saving Social Security for future generations. A major obstacle to transitioning to any new Social Security system with even a smidgen of private investment for each person has been how to pay for it all without blowing the budget deficits through the roof. 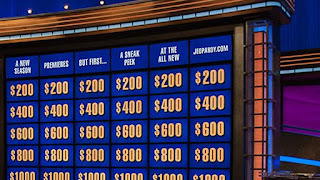 $100 could be the beginning. Suppose you are 24 years old and invested the $100 you blew on the fight in a basic stock mutual fund. What would it be worth in 2067 if it appreciated at the historical average rate of return of 9.05% of the stock market for the past 150 years? $7608.23. Inflation will account for 1/2 to 2/3rds of that amount but investing $100 for yourself for 50 years instead of giving it to 2 showboating boxers today means more money in your pocket, not theirs. What if we had a provision in our current Social Security system that allowed for such a direct investment of $100 for every child born in America each year on the date of birth? $100 compounded at 9.05% for 75 years will become $66,684 before adjustments for inflation. One way to pay for it would be to not pay current benefits to the very wealthiest of Social Security beneficiaries. 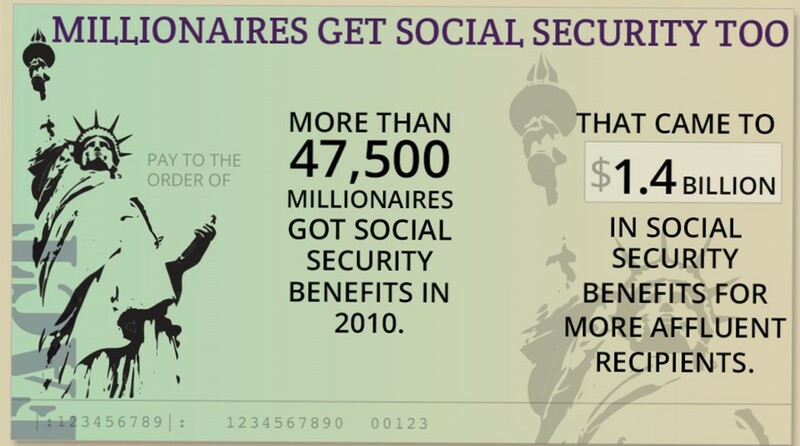 47,500 millionaires received full Social Security benefits in 2010 at a total cost of $1.4 billion. Set aside for the moment the question of whether a person should get everything out of Social Security they put in during their working career or whether it is a bonafide retirement plan to begin with. It should be mighty tough for any political party or group to defend the 'constitutional right!' of billionaires such as Bill Gates and Warren Buffett to keep receiving $2700/month in SS benefits when they should not be on any federal transfer payment program in the first place. Many very wealthy people stop paying into Social Security through payroll taxes when they start making most of their income from capital gains, dividends and interest from investments which are exempt from SS payroll taxes. Many are not paying into the system today as every wage-earner is obligated but they will receive virtually full benefits based on payroll taxes paid earlier in life. If $1.4 billion in SS benefits was not paid to the wealthy retirees this year, 14 million children can have $100 deposited into their personal retirement accounts at birth. Roughly 4 million children are born in America each year. 3.5 years of annual births in America can be funded from one single year of suspension of benefits paid to the very wealthiest of citizens. The budget deficits will not be increased. The national debt will not be increased. The money that would have gone to pay the benefits of very wealthy seniors who do not need federal help will have been spent to help transition a future generation from a defined benefit plan to a defined contribution plan much like the rest of corporate America has gone in the last 25 years. Each child will have $66,684 in their own personal account at age 75 from that one single payment of $100 into a private account when they were born. Imagine what the total would be if each person could invest substantial parts of all of their lifetime SS payroll tax payments in it as well. The time for tired status quo talk about Social Security has expired. Budget reality and math has guaranteed as much. Allowing small portions of Social Security payroll tax payments to be invested in personal defined contribution plans is the public policy equivalent of ‘one small step for man; one giant leap for American taxpayers’.